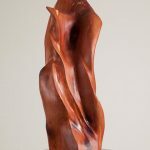 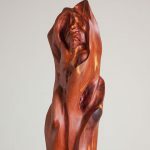 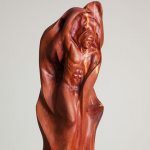 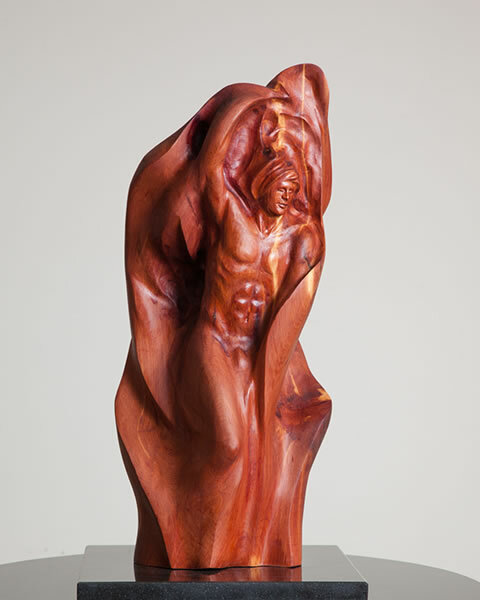 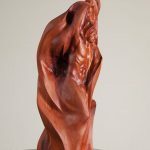 In this sculpture, I have portrayed a Deva, or male spirit, emerging from within an abstract plant form. 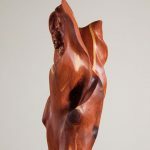 It is dusk, and as darkness falls he closes the plant about him, like a cloak. 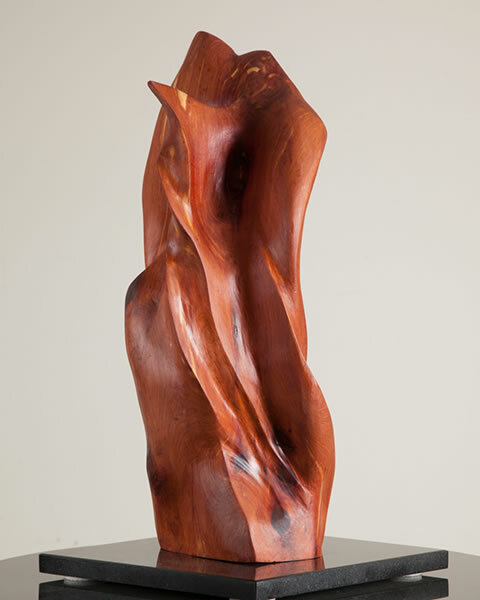 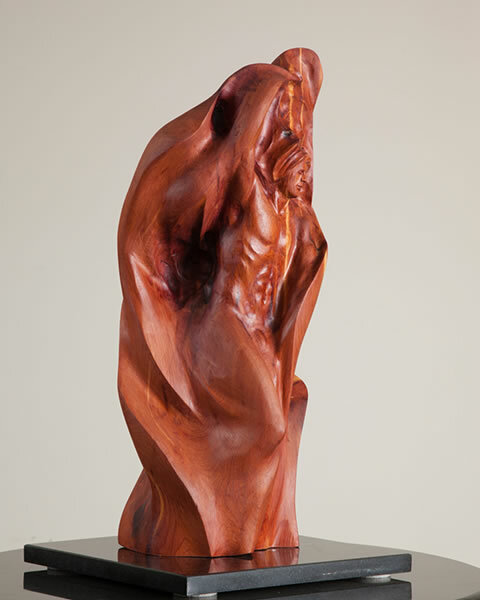 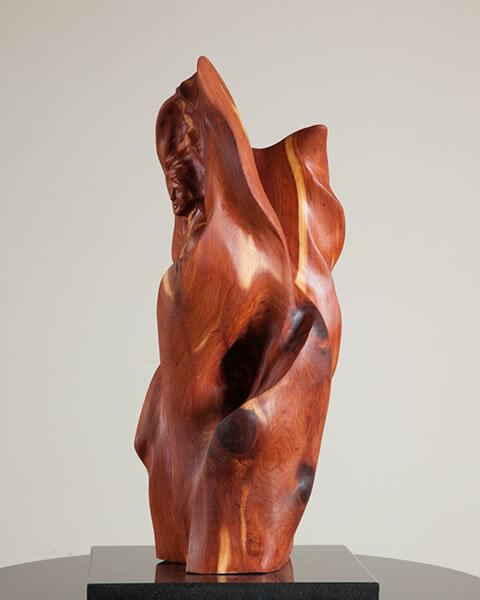 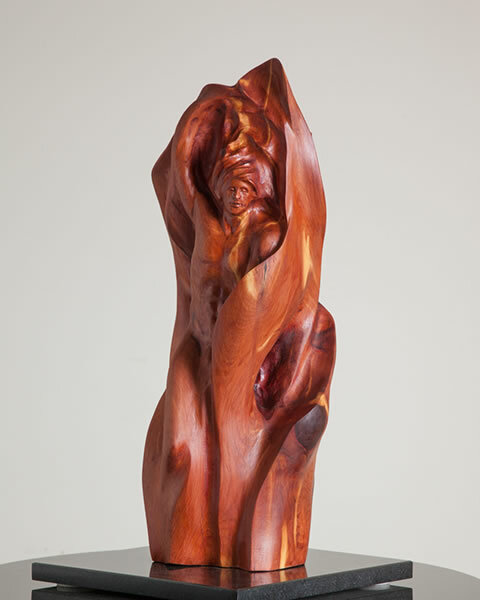 This sculpture has been carved from a locally found Red Cedar log and is 22” in height, and 10” in diameter.